Most of the people tend to assume that the drugs approved by the FDA are completely safe, though this may not necessarily be true in all cases. They think that it is the duty of the FDA to test a drug for its safety and efficacy. In the study, the researchers, led by Lisa M. Schwartz, 2944 participants were divided into random groups which received one of three explanations about a pair of cholesterol drugs. One of the drugs had been approved by the FDA on the basis of a surrogate outcome that it will lower cholesterol. The other drug had been approved based on patient outcome, i.e., lowering the rate of myocardial infarction. One group of participants was not given any advice about the drugs and acted as the control group. 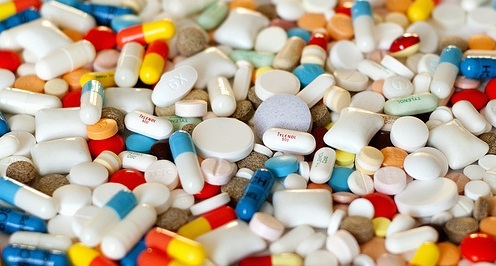 The second group, called the non directive group, was told that surrogates do not always turn into patient outcomes; and the third group, called the directive group, was given the same information as the second group and was also advised to choose a drug which has a proven test record. The researchers found that while only 59% of the control group chose the drug which reduces the incidence of myocardial infarction, 71% each from the directive and non directive groups chose this medicine. The study has shown that 39% patients mistakenly believe that the medicines approved by the FDA are highly effective while 29% mistakenly believe that FDA only approves those medicines which do not have serious side effects. Therefore, they are likely to be swayed by any new medicine in the market, if it has won an approval by the FDA. However, the study also brought out the fact that if the patients are informed that not all the benefits claimed by these medicines translate into results and that they may also cause side effects, they may make a different choice. Highlighting the uncertainties about the medicines with surrogate outcome helps the patients to make an improved choice. It is a good idea to educate the patients about the fact that the FDA approves a drug if it feels that the potential benefits of the drug outweigh its side effects. Many a times, the adverse effects of the medicines come to light when they have in the market for a substantial time. For drugs approved solely on the basis of surrogate outcome, the uncertainty about their results and possible side effects are the greatest for the initial few years. An anti-inflammatory medicine Vioxx had already seen a sale of $2.4 billions before it was seen that the drug was associated with myocardial infarctions and strokes, and was withdrawn from the market. Similarly, medicines like Zetia and Vytorin had already reached a sale of $1.8 billions before their full potential was understood. Therefore, patients as well as doctors are advised not to be swayed by the advertisements of a new drug on the block. They should rather go by the proven test records of a medicine that has already been in the market for some time.